Cook the Books is back for a brand new 2015 season. Cook the Books is an entertaining and informative how-to half hour for home cooks and serious foodies proudly brought to you by Mastercraft Kitchens. Check it out on Choice TV – Thursday’s at 7:30pm. This engaging series offers the opportunity to showcase some of the very best culinary talent in New Zealand today and a chance for viewers to get to know some of their favourite food heroes on a more intimate level. Catering to established and emerging cooks all over New Zealand, each week a talented chef or cook will join host Carly Flynn to talk about their latest book, their inspiration, challenges and personal stories. Then in our purpose-built Cook the Books Mastercraft kitchen Carly and guest chef will cook several of their favourite dishes from the book. Plus every episode will see Carly on location visiting another chef’s or writer’s restaurant or home. With such a large variety of cooking styles and flavours to choose from such a huge selection of books, we will be spoilt for choice every episode. 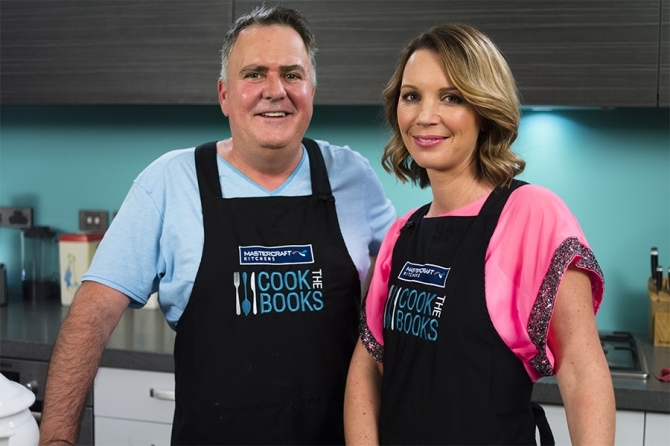 For the new season of Cook the Books we will feature the likes of Simon Gault, Chelsea Winter, Anthony Hoy Fong, Simon Wright, Kasey and Karena, the much revered Stephanie Alexander and many more great guests to share their stories, top cooking tips and secrets. Win EVERY cook book from EVERY episode in the series thats a total of 16 amazing cook books from some of New Zealand’s most talented culinary stars! You’ll also win with this prize a Palmers Gift to the value of $500! Enter the competition to win here, or check out some Mastercraft kitchen designs.